This is a wonderful hike up the Coyote Trail. The cache is hidden near an old, dilapidated cabin. You will need to cross a very small creek to reach the cache, which we did with no problem. We found the cabin and meadow enchanting, but feel we need to say DO NOT TOUCH THE CABIN OR ATTEMPT TO ENTER IT ! Merely enjoy its charm and take pictures. This hike would be okay for kids and pets, but watch out for ticks,poison oak, and aliens on mountain bikes. 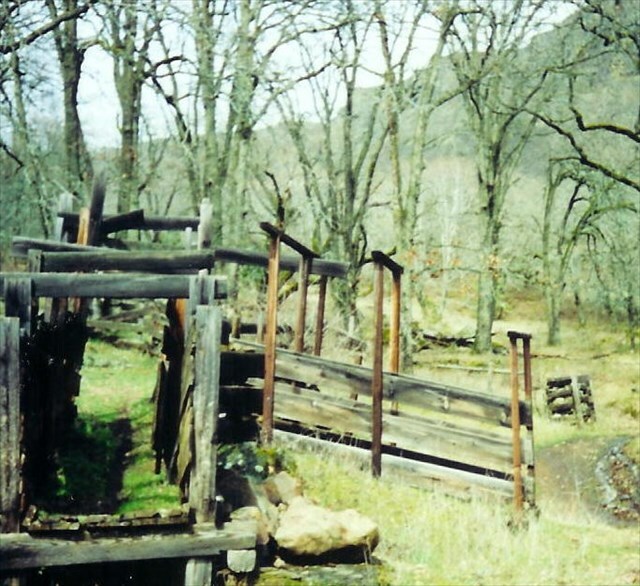 This puts you on old highway 14, where you will walk east about 425 feet or so to the trailhead, which is marked by an old animal loading chute. There is no need to go off of the trail until you see the cabin in sight. The creek is very small and easy to cross. 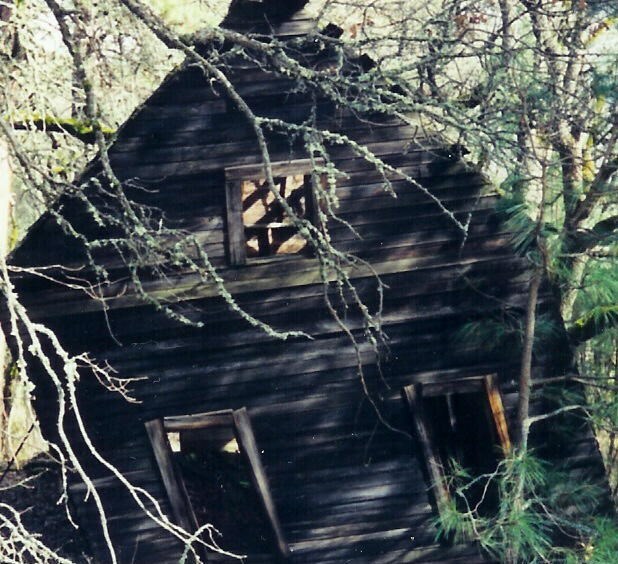 If anyone knows any information about this old cabin, please feel free to share it with us. When you are at the cache site, be sure to look towards the river and catch the view, and enjoy the enchanting little meadow nearby. We had archived the cache a number of months ago due to complaints about poison oak on the spot, so have moved it and hopefully solved the problem. Once again...please do not touch the cabin or enter it! It wouldn't take much for it to fall down! The cache is an ammo can. Our GPS accuracy wouldn't get much closer than 30 feet, but we think with the clues, you will find it easily. Gur pnpur vf whfg orlbaq gur pnova gbjneqf gur zrnqbj - ybbx sbe gur fznyy cvar gerr.